Styled with le high skinny . 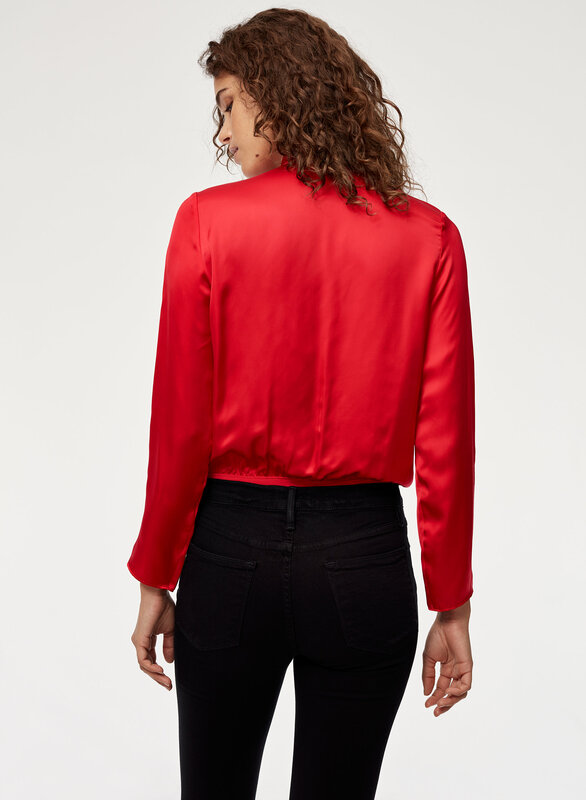 Slinky cupro fabric makes all the difference here. 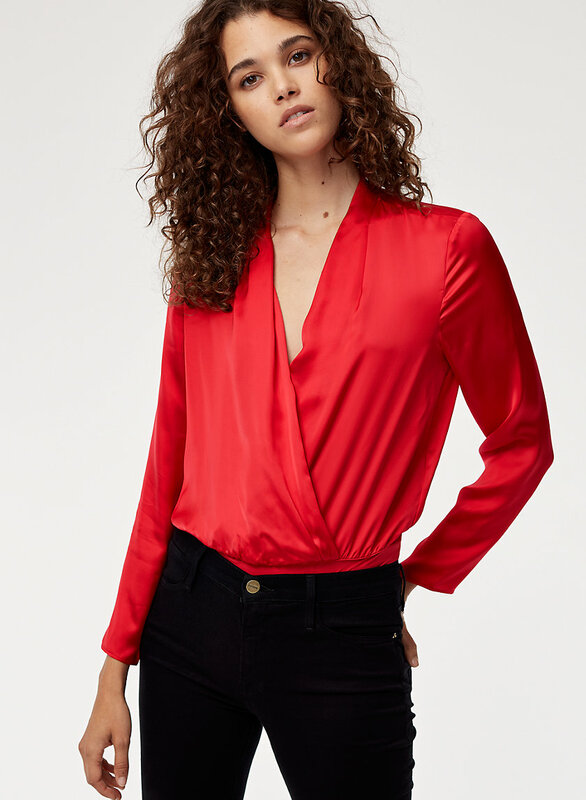 Think of this as your new favourite blouse — one that that stays tucked in. Love it, just a little short in the torso for taller girls. I bought this for a Valentine’s Day party but will certainlywear it again. It’s so beautiful I just wish it was a little longer in the torso for us tall girls. It still fit, just not that comfortable after a few hours. It really only works with very high rise jeans unless you want to see the bottom piece. Overall, still beautiful just not the best for tall gals (I’m 5”10 for reference).